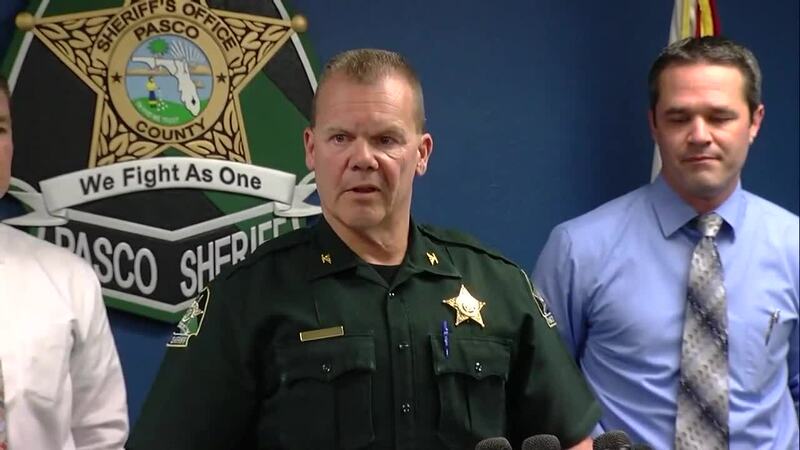 The Pasco County Sheriff's Office in Florida held a news conference regarding a triple murder case and provided updates regarding the suspect who was arrested in Lakewood. The Pasco County Sheriff's Office confirmed Tuesday that the remains found at a second crime scene in Florida, which are connected to a triple homicide, have been identified as 21-year-old Jamie Ivancic, the wife of the suspect arrested in Lakewood. On Jan. 3, Lakewood, Ohio police arrested Shelby J. Svensen on suspicion of stealing a 2013 Kia Sorrento that authorities say is connected to the slayings of a husband, wife and their son in Tarpon Springs, Florida. The victims were identified as Richard Louis Ivancic, 71, his wife Laura Ann Ivancic, 59, and their 25-year-old son Nicholas James Ivancic. Authorities also found the bodies of the couple's three dogs, named Buddy, Boomer and Bailey, at the crime scene. Authorities said they believe the family was killed sometime around Dec. 19 or 20, 2018. Their bodies were found by police inside the family's residence on Jan. 1. A body was later found at a second location on Jan. 6 and identified as the couple's daughter. A family member said authorities told them the body was badly decomposed and was "basically just bones." Authorities said they believe Jamie Ivancic's body had been in the ground for around a year in the yard of a residence where she and Svensen previously lived. An initial autopsy indicated that she died from blunt force trauma and authorities say they believe she was killed at the Florida residence where she was found buried. After Jamie Ivancic's death, authorities say Svensen "tricked" his wife's family members into thinking she was just unavailable to talk. Police are investigating whether or not Svensen merely offered excuses to her family as to why his wife couldn't talk or if he masqueraded as his wife on social media. Deputies said Svensen confessed to his involvement with her death, as well as the death of her family members. Svensen is awaiting extradition back to Florida. His official charges in connection with the homicides have not been announced.